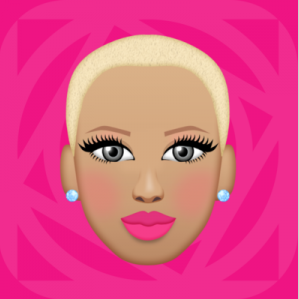 Amber Rose is on her “Take Over” grind and doing the most by competing with Kim Kardashian in the emoji game. In the first week of sales Muva Rose has banked a whopping 4 Million Dollars just in a paycheck for herself, no telling how much in direct sells. 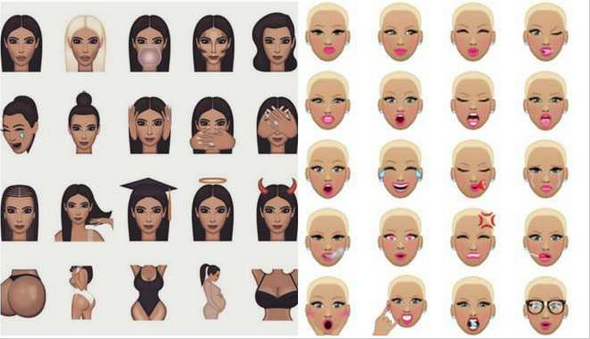 Alot of people are saying her Emojis are strikingly similar to Kim Kardashians. But I took a look and I think there just trying to pull drama out of the air. For all we know Kim Kardashian hooked her with the deal, after the “Finger in the booty a** bih” comment she had came for Kanye With. It’s possible this was part of payment in making peace. There were also rumors of a 10 million dollar payout from the West for her loyalty. See looks nothing like them… Of course there’s more Emoji’s then this but again there’s no similarity.